PARIS — October 17, 2018 – Today, Asmodee Digital, the leader in digital board game entertainment, announced the release of Terraforming Mars on Steam (PC). Developed by LUCKYHAMMERS and based on the Fryxgames’ award-winning strategy board game, the full digital edition of Terraforming Mars is now available on Steam for $24.99. In addition, a mobile version will be launching later this year. 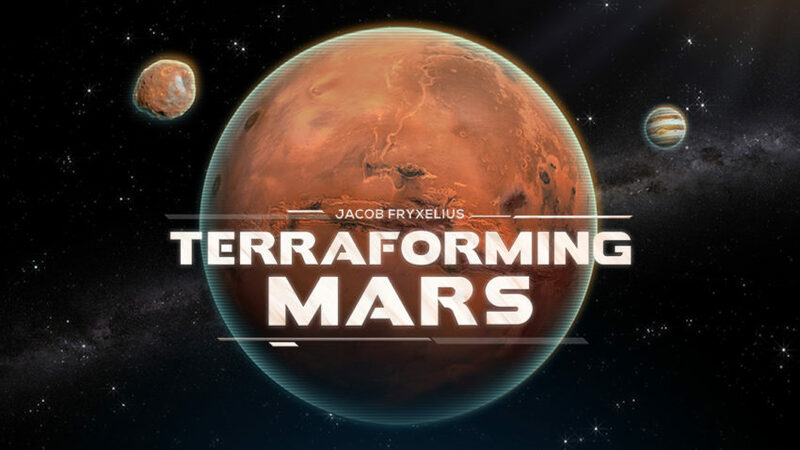 Faithfully developed alongside the game’s original creator, Jacob Fryxelius, the digital edition of Terraforming Mars is a true adaptation of the cult classic board game. The Asmodee Digital team not only stayed true to the classic gameplay elements of the physical version of the game, but brought the artistic excellence of the board game to this more gamer-friendly digital version. Players can play multiple game modes including two unique single-player modes where the player can play solo (just like the board game) or against AI-controlled opponents. The game also has pass-and-play local multiplayer, and online multiplayer in intense turn-based strategic gameplay with one to five players. FryxGames is a family business consisting of 5 brothers making board games and card games together, drawing from the wealth of games developed by various family members during several decades. From it’s start in 2011, FryxGames has published 6 games: Wilderness, Space Station, Brawling Barons, Fleets, Terraforming Mars, and After the Virus.